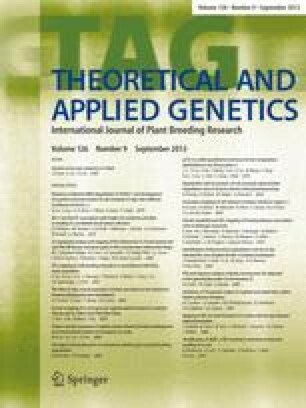 We investigated the potential of the Agrobacterium tumefaciens T-DNA as an insertional mutagen in Arabidopsis thaliana. Arabidopsis lines transformed with different T-DNA vectors were generated using a leaf disc infection procedure adapted for efficient selection on either kanamycin or hygromycin medium. A standardized screening procedure was developed for the detection of recessive mutations in T2 populations of regenerated and/or transformed lines. Recessive mutations originating from the tissue culture procedure occurred at a low frequency — between 2% and 5%. Within 110 transformed lines that contained a total of about 150 T-DNA inserts, one recessive mutation, named pfl, cosegregated with a specific T-DNA copy. This pfl mutation mainly affected the morphology of the first seedling leaves under normal growth conditions and was mapped to chromosome 1. No recombination between the pfl locus and the kanamycin resistance marker on the T-DNA was detected when screening F2 and F3 populations of a mutant crossed to the wild type. The maximal genetic distance between the pfl locus and the kanamycin resistance gene, determined as 0.4±0.4 cMorgan, strongly suggests that the pfl mutation is induced by the insertion of the T-DNA. Our finding of one T-DNA-linked recessive mutation in 110 transgenic lines indicates that T-DNA can be used for mutagenization of the Arabidopsis genome under tissue culture conditions.